Provide your pet with the comfort, safety and convenience he or she deserves with this 3 step set of stairs! 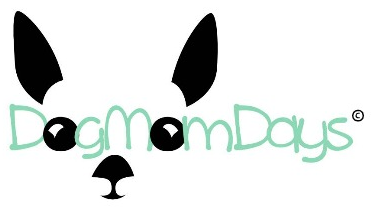 These steps are designed, manufactured, and assembled in the United States, assuring the best quality that your pet deserves. 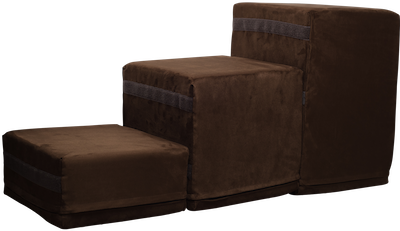 Designed for pets and tested on humans, the three set step design has proven time and again that it's not just possible to prevent your pet from future back pains due to jumping up and down off of furniture and beds - it's also easy! 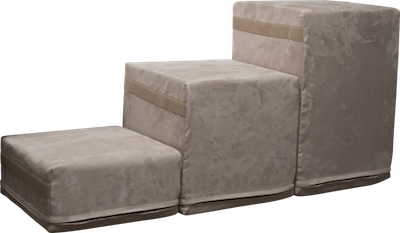 The three piece steps allow your pet to easily access higher areas, such as the couch or your bed, with complete ease. 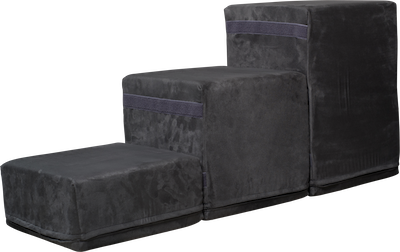 Using these high density foam steps, your pet can avoid future back problems associated with jumping or leaping up and down. This affects more pets than most owners are even aware of, making it a crucial campaign for both pets and owners. The first step is 7" high, with the second step spanning 14" high. Finally, the third step is 21" high, making each step easy to access and move up. 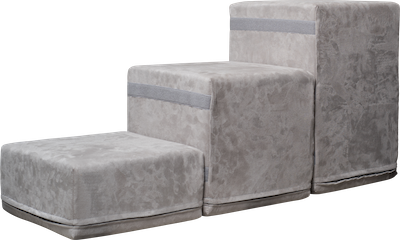 The three piece step is available in a variety of colors. These neutral colors will look absolutely amazing anywhere in your home! The care and cleaning of these micro-filament fabrics is simple: to remove stains such as ballpoint pen, red wine, mustard, coke, tea, coffee, and grape juice, use mild soap and lukewarm water. Rub gently in a circular motion with a sponge or soft brush. Pat the area dry after cleaning.